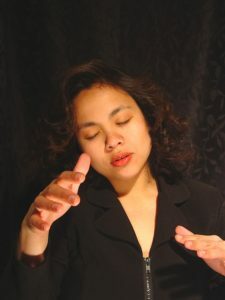 World Poetry Celebrates the Talented Ayn Inserto! 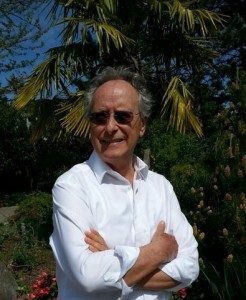 Ariadne’s Notes: On October , 8 2018, an exciting guest called into the World Poetry Café Radio Show at 1:10 PM PST. 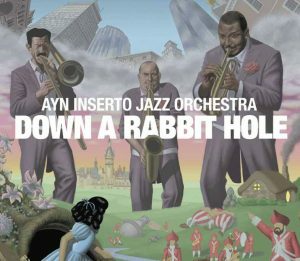 Ayn Inserto shared with us her new CD Down A Rabbit Hole available from Summit Records; a musical adventure with songs that took us on a journey into an imaginary world of sounds. 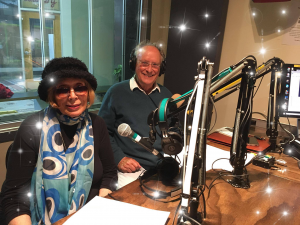 Hosts Dr. Diego Bastinutti , Ariadne Sawyer , super tech Victor Schwartzman, special volunteer Sharon Rowe and regular correspondent Jeanne Probst completed the World Poetry Team. We would like to thank Braitwaite and Katz for sending this great composer and musician. LISTEN TO THE RADIO SHOW HERE!!! This entry was posted in Ariadne's Notes, E-Poets, Featured musicians and artists., Featured Poets, General and tagged Author Sharon Rowe, Ayn Inserto, Braitwaite and Katz, Dr. Diego Bastianutti, Rahmatullah Haidari, Victor Schwartzman on November 15, 2018 by Ariadne. World Poetry Celebrates Jenna Lynn Albert! Ariadne’s Notes: The World Poetry Café CFRO, 100.5 FM, featured a new book by Jenna Lynn Albert with her new book Bec & Call published by Nightwood Editions on November 1-2 pm PST. Hosts Ariadne Sawyer and Diego Bastinutti , super tech Victor Swartzman and special volunteer Sharon Rowe. Also featured was a good news update on Rahmat Haidari and a story by Sharon Rowe. The second guest , Ayn Inserto called in from the US at 1:30 pm PST with her brand new CD The Rabbit Hole which will be the next feature. Jenna Lyn Albert is a poet, cat enthusiast, and proud acadienne. 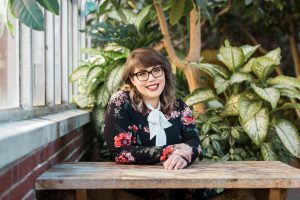 A graduate of the University of New Brunswick’s Creative Writing program, her poetry has appeared in The Malahat Review, The Puritan, Riddle Fence,The Antigonish Review, The Temz Review and CV2. Albert lives in Fredericton, New Brunswick, where she is a member of The Fiddlehead’s editorial board and a first reader for Goose Lane Editions’ Icehouse poetry imprint. Her debut collection of poetry, Bec& Call, is out now with Nightwood Editions. the tablecloth white and oval and even. that we can’t drink until O Captain! our supper following tout de suite. they are white and clean and folded. how we like our cod tongue and cheek. to their proper position, says nothing. as comfy as the prie-dieux at church. Jenna Lynn Albert (C) All rights reserved. This entry was posted in Ariadne's Notes, E-Poets, Featured musicians and artists., Featured Poets, General and tagged Author Sharon Rowe, Dr. Diego Bastianutti, International Peace Award Ariadne Sawyer, Jenna Lynn Albert, Nightwood Books, Victor Schwartzman on November 15, 2018 by Ariadne.